Finemind offers systemic, scalable, and comprehensive solutions for mental health by tapping into the power of community. 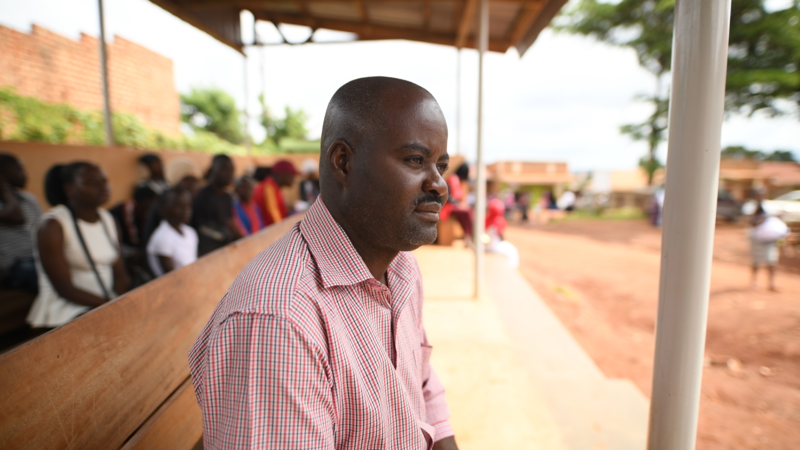 10 years ago, Karim was wrongly fired from his Ugandan government job because of his diabetes diagnosis. He was making ends meet with odd jobs. Two of his children enrolled in University, but he was struggling to find a way to pay tuition. During his time with his counselor, he developed healthy ways to handle his stress, depression, and identified alternative means for tuition assistance. Just like Karim, another 300 million people suffer from depression. It’s the leading cause of disability worldwide. It’s known to increase the risk of suicide, raise health-care costs, and reduce economic productivity. The majority of people in Africa who have mental health issues go undiagnosed. Uganda boasts 30 psychiatrists for a population of nearly 43 million people with only 310 committed mental health workers. An astonishing 90% of people in low-income countries do not receive adequate treatment. And this got us thinking, how do we leverage everyday people to address this mental health treatment gap? Finemind is our vision realized. Formerly, mindfullwe’s mission was singular: offer community-driven mental health supports for low-income communities. Since, we’ve realized that the ethos of our work is universal and transferable to a variety of contexts – public, private, and governmental. We’ve adapted our methodology and curriculum to empower school teachers to assume lay-worker responsibilities to counteract adolescent depression. We’ve also developed trainings for corporate healthcare programs to impact workplace wellness. Finemind is an organization that offers systemic, scalable, and comprehensive solutions for global mental health by tapping into the power of community. We recruit, train, and empower non-professionals to provide people what they need to recover from anxiety and depressive disorders via a range of treatments in a step by step fashion. We concluded the first-of-its-kind pilot study in Uganda offering a collaborative stepped care intervention to unite community health workers, primary care physicians, and a mental health specialist to offer tiered therapeutic support services. We were fortunate to partner with several organizations from The AIDS Support Organization to Aga Khan University School of Nursing & Midwifery, and many others. After six months, our three previously untrained lay workers carried out over 700 counseling sessions, enrolled 258 patients, discharged 189 patients. Not a single patient had depression after completing treatment. We know that the heartbeat for improved mental healthcare is in people. We’re eager to build out our systems and processes to offer effective mental healthcare everywhere. We’re looking for strategic partners and corporate sponsors to accelerate our impact and capitalize on our growing momentum. Join us at www.afinemind.org as we change the way the world tackles mental health. Pavel Reppo is passionate about fostering opportunities for sustainable positive change. He is a proud founder and previous CEO of The Wayfaring Band, an organization that creates travel opportunities for adults experiencing intellectual disabilities, and leadership fellows, facilitating an inclusive culture built on the principle of mutual aid. Pavel is a native of Belarus and an avid traveler who has worked directly with orphaned youth and children living in slums in Uganda. Please email [email protected] for further queries.